Back from their 4 year hiatus, American rock bad Fall Out Back is back in the scene with their latest album Save Rock and Roll. 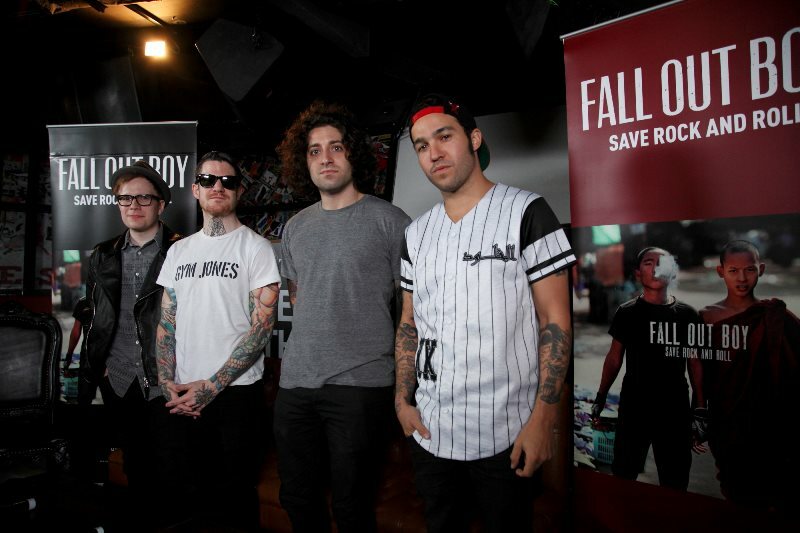 In Singapore as part of their Save Rock and Roll tour, the band members consisting of vocalist/guitarist Patrick Stump, bassist Pete Wentz, guitarist Joe Trohman, and drummer Andy Hurley spent some time talking to the media during a press conference about how they have all grown up in the four years away but yet never lost their punk rock roots. Next stop for the band was a photo session at HMV 313 Somerset thanks to Universal Music Singapore. 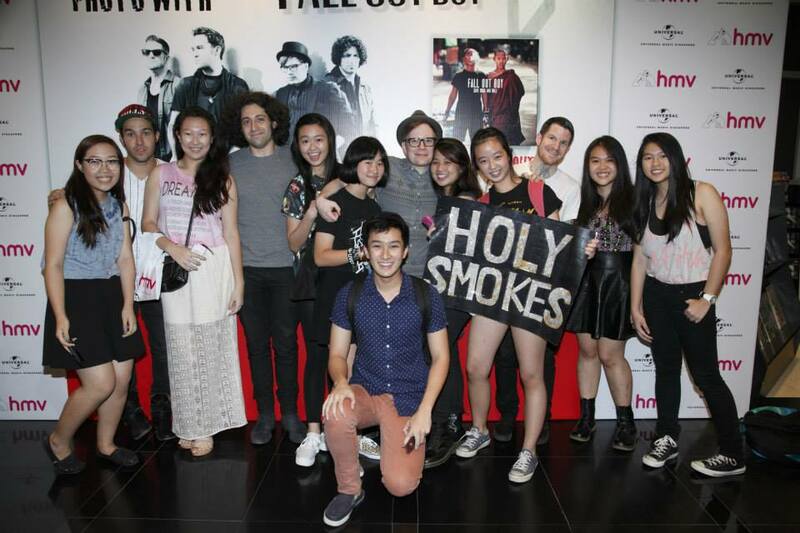 Fans not only got to meet the members of Fall Out Boy but also had their photo taken with the band. Many smiles could be seen leaving HMV. 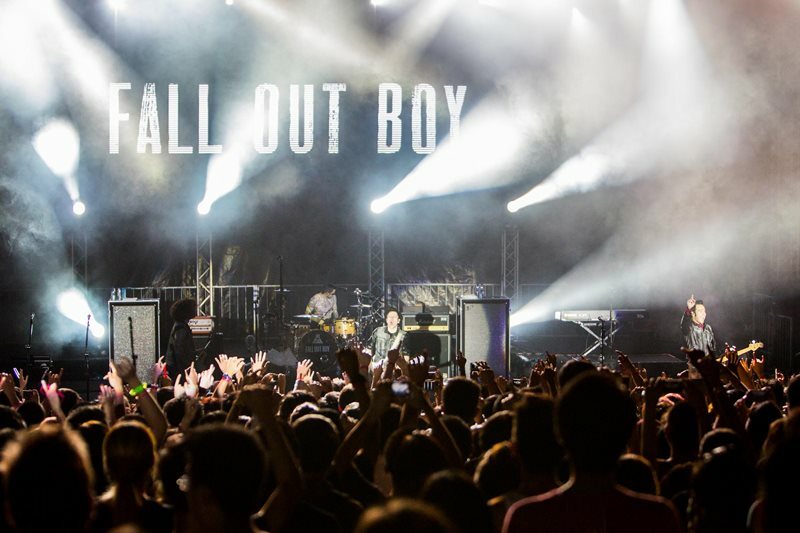 The highlight of Fall Out Boy’s visit to Singapore was their concert which was held at Fort Caning Park. Kicking off the night with “Thriller”, the crowd which was rather quiet broke out into screams as the concert got on its way. 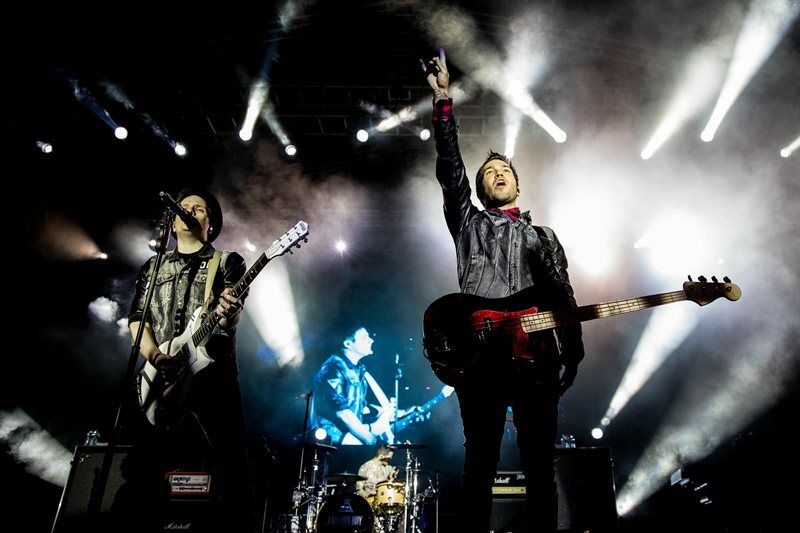 Fall Out Boy played a total of 16 songs before a 4 song encore which included a well done cover tribute to the late Michael Jackson with the hit song “Beat It”. While there were signs that the band were not the same young punk rockers they were before , you still gotta give the band credit for the performance that left many fans enjoying a night of fun in a punkish kind of way. Photo Credits: Amos Wong (press con + fan photo session), Marcus Lin (concert).